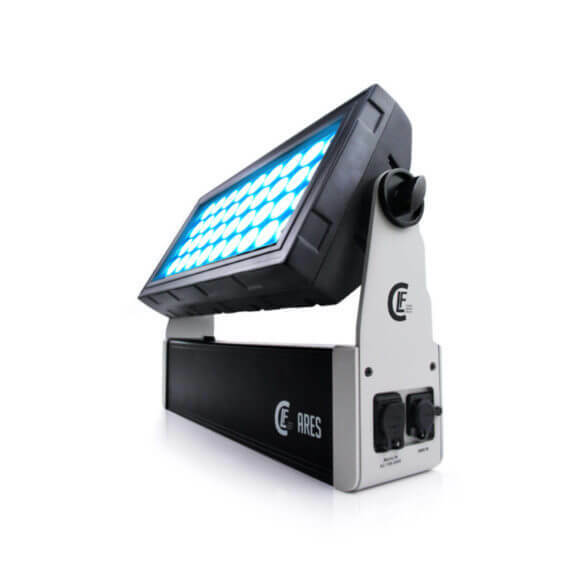 The CLF Ares is an extremely powerful LED wash fixture that is perfect for illuminating large surfaces both in- and outdoor. Extreme brightness and an extraordinary even projection make the Ares a true LED alternative for traditional wash lights. 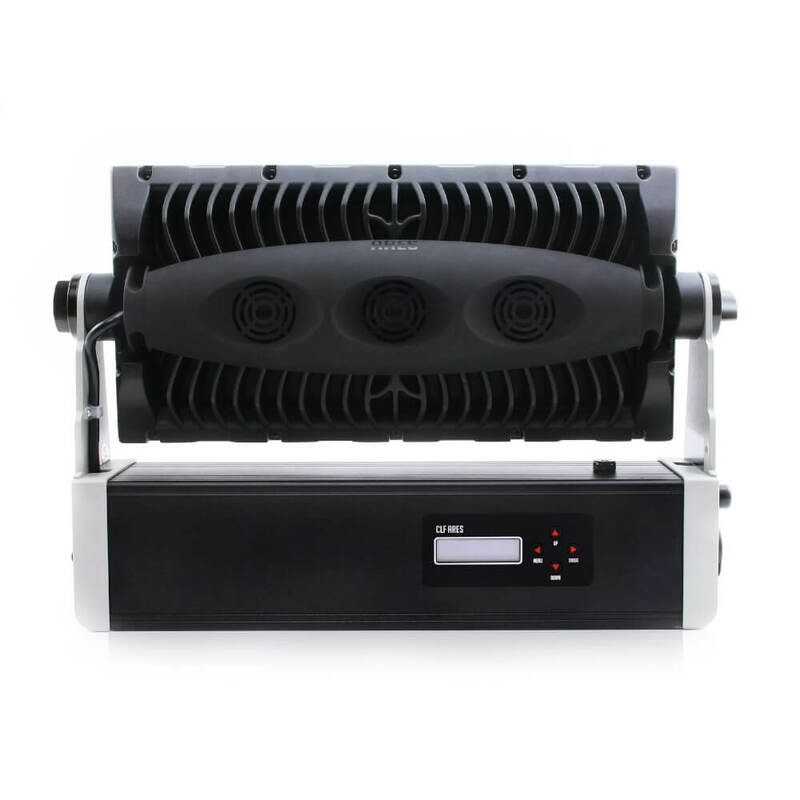 An array of 36 calibrated high power RGBW LED’s are divided in four individually controllable horizontal segments. The Ares is equipped with a punchy 21° beam angle, which can be easily adapted to other beam angles, even elliptical, by using the Smart Filter System® . 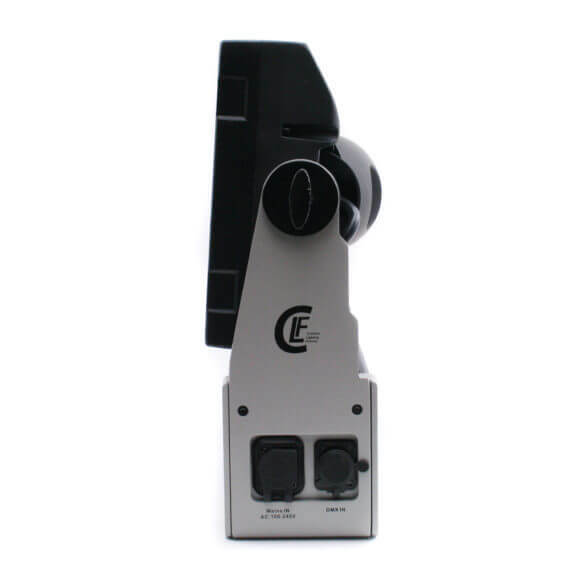 The unique LED boost mode offers 140% output when only using two colours simultaneously. The Ares comes with an intelligent cooling system which provides extensive fan control, which is especially useful for TV and theatre use. 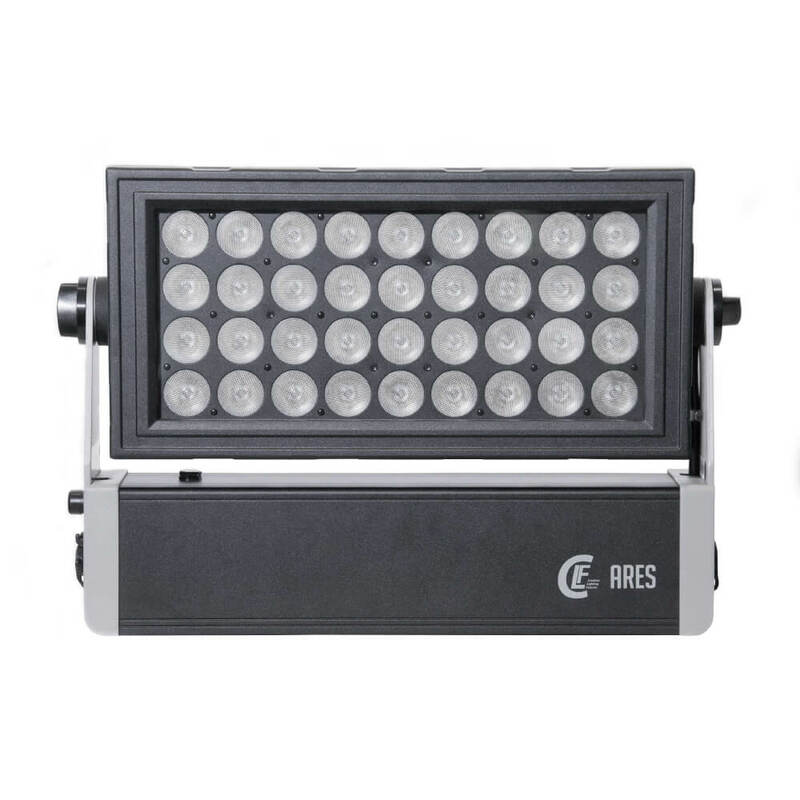 All in all, the Ares is a versatile LED wash that can be used for many applications. 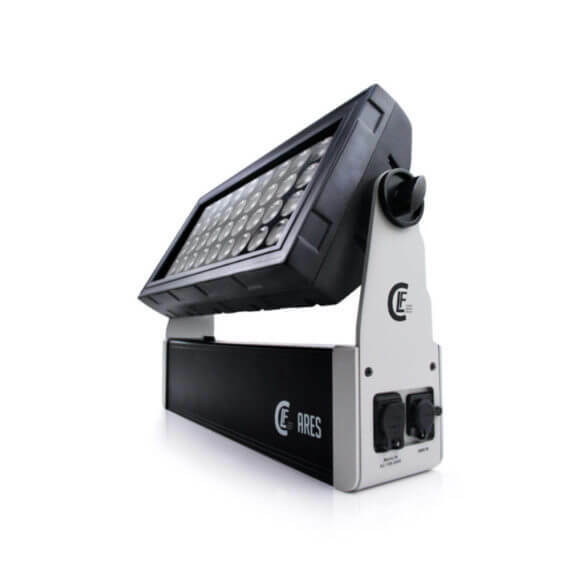 The CLF Ares comes with a filterframe, barndoor and a Wireless Solution W-DMX™receiver on board, but can also be connected with 3-pin XLR connectors. 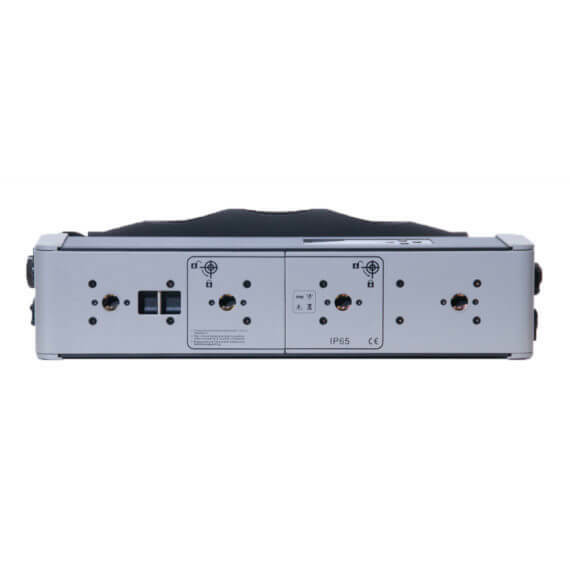 Power is connected through a PowerCON TRUE1 connector.